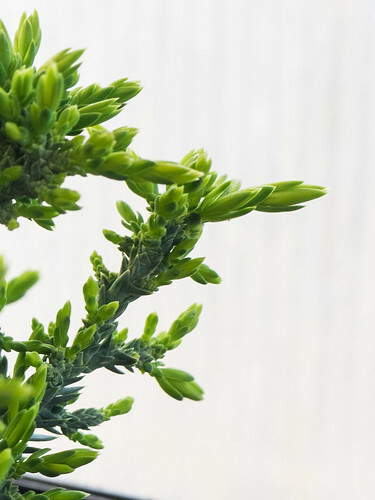 A miniature variety of Creeping Juniper. Leaves are a blue-grey on a flat round bun. Found by Mr. Neumann , head propagator of Jeddeloh Nurseries in Germany about 1990. Great for troughs and rock gardens."